Aloha Everyone!! Thanks for visiting my Oahu photography website. My name is Anthony Calleja. 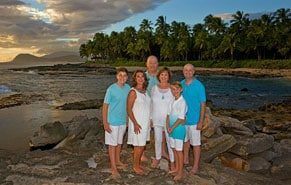 I am an Oahu photographer based in Ko'Olina and Honolulu, Hawaii and I service all of Oahu Island. All of my photography prices can be found on the rate page of this website. I can be easily reached for a no obligation consultation at (808) 349-7917. I would love to hear from you and answer all of your Questions. Oahu Photographers Capture quality images that you will cherish for a lifetime. I specializes in all aspects of Photography. Click images to see portfolio samples. 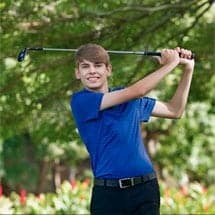 Professional Oahu photographer offering affordable Hawaii portraits throughout the island of Oahu. If you are looking for photographers on Oahu, Anthony Calleja is a favored choice. 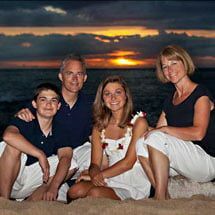 His Oahu Hawaii Photos are of superb quality and that is why he is considered the best Hawaii Family Photographer among the best Oahu Photographers. Call him for a free no obligation consultation. He is very friendly and happy to answer all of your photography questions. Oahu Family Photos, Honolulu Photographers, family photography on location photo session serving Honolulu, Waikiki, Kailua, Kapolei, and the Ko’Olina Resort area. As an Oahu Photographers your family has a special something-something, right? A loving vibe, a shared history, an unspoken joke that makes you all crack up. At Anthony Calleja Photography, that’s what I love to capture in my family portraits. I don’t force you into some posed. I just want to reveal some of the heart and soul that makes you and your family special. The Family Photos I photograph are spontaneous moments from pregnancy to your baby’s first birthday and beyond. In addition to the family photo sessions on location, I offer newborn sessions, maternity portraits, couples portraits, christenings, and baptisms. No matter the type of portrait — multi-generational families, children, babies, newborns — As a Honolulu Photographers, I don’t just take pictures; I capture your memories. Images you will cherish for a lifetime. What’s a family or Couples portrait session with Anthony Calleja Photography like? Like life, a session often cycles through action, interaction, reflection, in a relaxed, environment. My photography is authentic and engaging. If you are in search of affordable Honolulu Photographers, my Oahu photography service might be just what you are looking for.It's not surprising that Oahu, Hawaii has some of the most magnificent beaches and sunsets in the world: the west coast of the Aloha State hugs the Pacific Ocean, providing miles of coastline and offering vacationing families an amazing scenery that cries to be captured in a photograph. 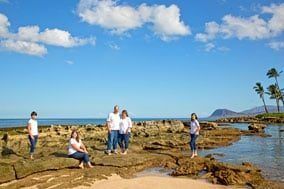 No matter where you are on Oahu, there is a beach just a short drive away - and Oahu Photographers, Anthony Calleja Photography can be there to capture your memories, for you, your family, and future generations. We all have our favorite time of year, our favorite pastime and even our favorite moments. I capture them through the lens and tell stories with my photos so they can be kept, remembered and shared with loved one's friends, social media, time and again. Whether it is Baby's First birthday, family reunion, engagement proposal, maternity portrait, wedding elopement or a vacation capturing the memories for you is what Oahu Family Photographers does best! Transform special moments into cherished memories, with photographs so different, you'll treasure them always. In color or black and white, in a variety of imaginative settings–my photographs capture the vitality and spirit of children and adults alike. As a one of many Honolulu Photographers I can offer you an experiece of a lifetime. 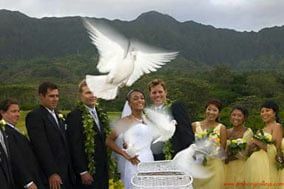 As one of the many Oahu Family photographers what set me apart from other Oahu Photographers is not one thing. It's a combination of many things. Photography has been a part of my life, all of my life. I have been a portrait photographer since I was 10 years old. That's 49 years of experience, but it is more than that. I come from a family of 24 siblings. I was blessed with two wonderful parents. Family is in my heart. I love photographing people. I like mood, emotion feeling, Love in my photos. I want to tell a story in my photographs. I want to tell my client's story. I love capturing real life a photo S.A. It could be an early morning Oahu Family Photo Session on the beach or a Sunset Engagement Proposal as the Sun sets. After 49 years photography is still my passion and it's awesome to see and hear my customers reactions after a photo session. It's not a job. There is a little bit of me in every one of my photo. My images are what I get to leave behind. Anthony Calleja is an outdoor and natural light portrait photographer in Honolulu, Hawaii, on the Island of Oahu. Anthony also attends the areas of Kailua, Kaneohe, Waimanalo, Hawaii Kai, Wahiawa, Haleiwa, Ewa Beach, Mililani, Kapolei, Ko’Olina, Barbers Point and is not limited to attend military bases such as Joint Base Pearl Harbor - Hickam, Ford island, Marines MCBH, Schofield Barracks. Waikiki Family Photographer, Honolulu Family Photographer, Kailua Family Photographer, Kaneohe Family Photographer, Kapolei Family Photographer, Waimanalo Family Photographer. If you are planning to visit one of the Islands? I recommend Oahu. Which boast some of the most beautiful photo session locations. Don't take my word for it. Hear what my customers have to say about their photographer experiences. Tell me when, where, and why and i'll take care of the rest. The more I know, the better I can help out. In addition to your location and time preference. Let me know the style and feel you're looking for. I offer Oahu Pro Photography Services. At a super value for families, couples , and events. Affordable 30-minute special. Includes all the high-resolution images on an SD Card. Plus a Copyright for reprints. $173. Details! 60-minute Photo Session. Includes all the images straight out of the camera. Plus level 2 edited images. $365. See Details! Affordable 60-minute wedding package. Includes all the images on an SD Card, given at the end of the event. $475. View Details! Planning to visit Oahu Hawaii! For your honeymoon, family vacation, vow renewal? 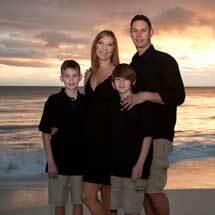 Thinking of booking an Oahu photographer for a beach photo session? For a Fun Family Experience of a Lifetime! Anthony Calleja Photography is a brand name for primary website anthonycalleja.com, a professional Honolulu photographers offering fun and affordable beach and sunset lifestyle photography for families and couples in Waikiki Oahu Hawaii. I specialize in First Birthday Pictures, Elopement Photographer, Family Beach Portraits, Couples Photography Ideas, Modeling Portfolios, Four Seasons Family Photographer, Surprise Proposals and more.